The BoldlyGo Institute (BoldlyGo) and National Aeronautics and Space Administration (NASA) have signed a Space Act Agreement to cooperate on "Project Blue," a mission to search for potentially habitable Earth-size planets in the Alpha Centauri system using a specially designed space telescope. 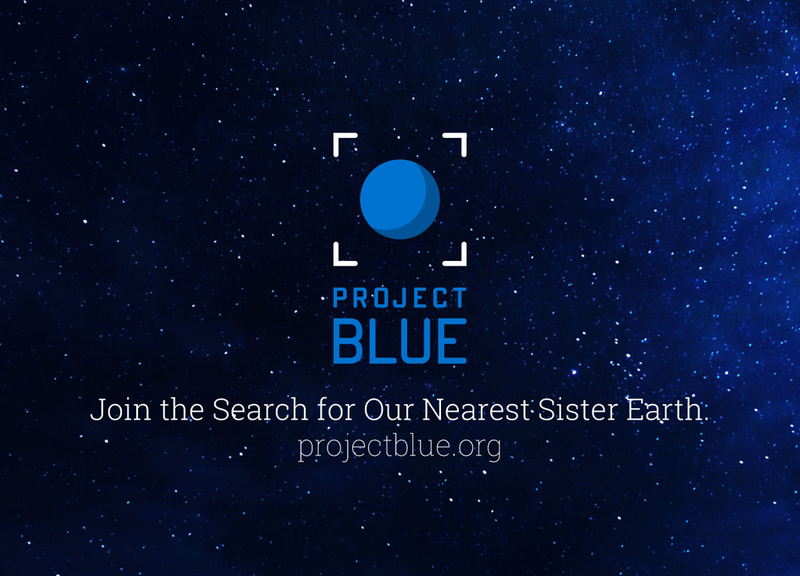 Please Support The Project Blue Mission In Its Search For Planets in the Habitable Zone of Alpha Centauri. "We're pleased to be working with NASA on this ambitious public-private partnership," said Dr. Jon Morse, CEO of BoldlyGo. "Much of the coronagraph imaging technology needed for Project Blue to take direct images of exoplanets from space has been developed through NASA-funded programs. Having access to NASA's scientific and technical expertise throughout the mission lifecycle is invaluable," Morse continued. The Space Act Agreement is non-reimbursable, with no exchange of funds between NASA and BoldlyGo. It allows NASA employees - scientists and engineers - to interact with the Project Blue team through its mission development phases to help review mission design plans and to share scientific results on Alpha Centauri and exoplanets along with the latest technology tests being undertaken at NASA facilities. NASA's engagement in its consulting role will be triggered through a set of milestones as technical work is accomplished and the private consortium leading Project Blue raises the funds necessary to continue mission development. The agreement also calls for the raw and processed data from Project Blue to be made available to NASA within one year of its acquisition on orbit via a publicly accessible online data archive. The Project Blue team has been planning such an archive for broadly sharing the data with the global astronomical community and for enabling citizen scientist participation. BoldlyGo and the Project Blue mission team are responsible for the funding and design of a small telescope capable of blocking a star's light in order to image surrounding exoplanets. The telescope will take 3-4 years to construct and launch. Once in orbit, Project Blue will perform an intensive two-year study of Alpha Centauri -- the closest star system to Earth -- with the goal of identifying and capturing a "pale blue dot" image of an Earth-size exoplanet in the habitable zone of the Alpha Centauri A and B stars. The habitable zone is the distance from a star where orbiting planets can have surface temperatures that allow liquid water to pool. While NASA's Kepler mission has shown that terrestrial-sized planets are common in our galaxy, Project Blue would be the first to image in visible light a planet as small as Earth that could potentially sustain life. The BoldlyGo Institute is a registered 501(c)(3) based in New York, NY, founded to engage a global community in the quest to address highly compelling scientific questions through new approaches to developing space science missions. The organization is led by a highly qualified and reputable Board of Directors, comprised of space scientists, engineers, and explorers. Board members have decades of combined space and private sector involvement, including more than a decade of senior leadership experience across NASA, specializing in spaceflight and developing space hardware. The BoldlyGo Institute (BoldlyGo) and National Aeronautics and Space Administration (NASA) have signed a Space Act Agreement to cooperate on \"Project Blue,\" a mission to search for potentially habitable Earth-size planets in the Alpha Centauri system using a specially designed space telescope.